Shop online for 165 a-model-from-russia plastic models at discounts up to 20%. 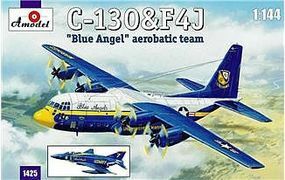 This is the 1/144 Scale C130 Hercules & F4J Blue Angel Aerobatic Team Aircraft (2 Kits) plastic model airplane kit. This kit is produce by A-Model. This is the 1/144 Scale C7B Caribou Cargo Aircraft plastic model airplane kit. This kit is produce by A-Model. 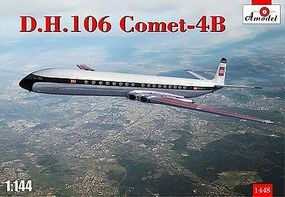 This is the 1/144 Scale DH106 Comet 4B Commercial Jetliner Plastic Model Airplane Kit by A-Model. 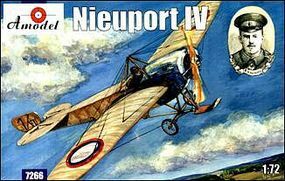 This is the 1/72 Scale Nieuport IV WWI Recon Aircraft plastic model airplane kit. This kit is produce by A-Model. 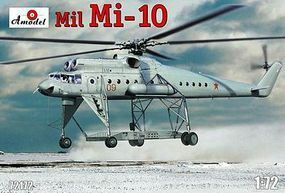 This is the 1/72 Scale Mil Mi10 Helicopter plastic model Helicopter kit. This kit is produce by A-Model. 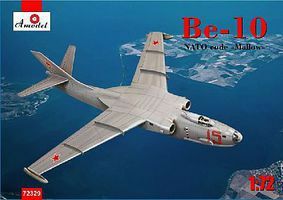 This is the 1/72 Scale Beriev Be10 NATO Code Mallow Amphibious Bomber (New Tool) Plastic Model Airplane Kit by A-Model. This is the 1/72 Scale Tomashevich Pegasus WWII Russian Bomber plastic model airplane kit. This kit is produce by A-Model. 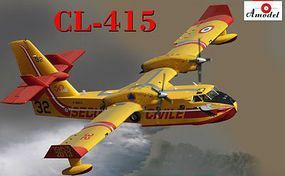 This is the 1/144 Scale CL415 Amphibious Aircraft (New Tool) Plastic Model Airplane Kit by A-Model. This is the 1/72 Scale Polikarpov I16 Type 6 Soviet Fighter w/Skis & Missiles plastic model airplane kit. This kit is produce by A-Model. This is the 1/144 Scale HC123B Provider USAF Cargo Aircraft plastic model airplane kit. This kit is produce by A-Model. This is the 1/72 Scale Avro 504K Zeppelin Killer Single-Seater Fighter plastic model airplane kit. This kit is produce by A-Model. This is the 1/72 Scale H25A Army Mule USAAF Helicopter plastic model Helicopter kit. This kit is produce by A-Model. This is the 1/72 Scale Bombardier Learjet 60XR Business Jet (New Tool) Plastic Model Airplane Kit by A-Model. This is the 1/72 Scale Pitts S2A Aerobatic BiPlane plastic model airplane kit. This kit is produce by A-Model. This is the 1/72 Scale Hawker Fury I/II USAF BiPlane Fighter plastic model airplane kit. This kit is produce by A-Model. This is the 1/72 Scale KASKR2 Soviet Autogyro 1930 plastic model helicopter kit. This kit is produce by A-Model. This is the 1/72 Scale SPAD A2 French WWI BiPlane Fighter plastic model airplane kit. This kit is produce by A-Model. 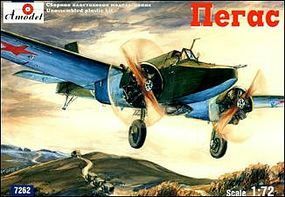 This is the 1/72 Scale Yak25M Soviet 2-Seater Fighter plastic model airplane kit. This kit is produce by A-Model. This is the 1/144 Scale Antonov An12B Cargo Aircraft Plastic Model Airplane Kit by A-Model from Russia. This is the 1/72 Scale F4F3S Wildcatfish USAF Floatplane plastic model airplane kit. This kit is produce by A-Model.